Save Water. Drink Air. Generation Water, a technology company passionate about providing sustainable alternatives to traditional water supply methods. 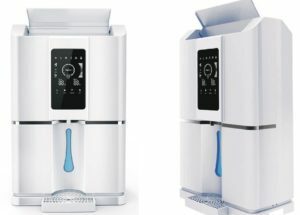 Generation Water proudly presents, their latest water solutions and technologies, the Aero range of water generators.The Aero range embodies technology which creates pure drinking water, within your villa, office, boat or business from the humidity surrounding us in the air. 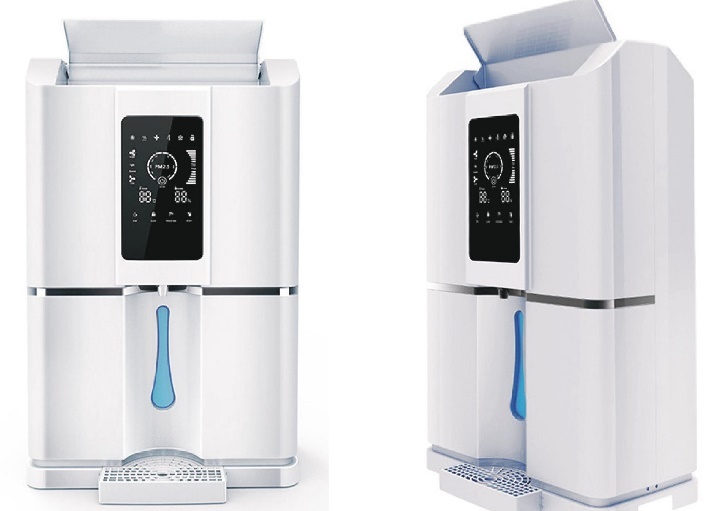 Each model in the Aero product range produces pure, fresh, mineralised, ph 7.6 balanced drinking water, straight from the humidity in the air, no water supply is needed. This is a plug and play drinking water solution. The Aero product range starts with a small machine which can produce 20 liters of drinking water per 24 hour cycle and increases in scale to 30,50,70 Liters per day. At the same time as providing drinking water, an additional benefit for indoor or domestic use is that, as we create the water, we also dehumidify the living areas too. Our solutions are perfect for Phuket’s environment, with its high, year round humidity, an ever increasing depletion of the natural water table, due to increased tourism, housing, infrastructure development, hospitals, schools and other social pressures, leading to a scarcity of water during the hotter months, coupled with a sub-standard, and often insufficient water supply from traditional sources, thus, leading to a growing dependence on store bought bottled water. Join the water revolution today! !, our solution facilitates water being produced literally in-house, or on-site, from 20 liters per day up to tailor made on-site solutions, as recently provided to the JW Marriott, Phuket, which produces 4,000 Bottles of mineral water per day from the air, thus saving 35 tonnes of plastic waste per year, whilst negating the need for large water storage areas and the man hours and logistics required to maintain the resort drinking water supply. To learn more about our in-house or on-site water solutions please do not hesitate to contact me using the details below, I would welcome the opportunity to discuss our range of water solutions further, or to provide you with any additional information that you may require. For many companies, across all industries, water management is a critical long-term requirement for staying in business, a major commercial opportunity, or both. As a result, governments and industry leaders are noticeably scrambling for solutions and water efficiency has become extremely topical. Our mission is to be the world’s leading provider of alternative water generation solutions. We provide sustainably and economically sound solutions to the world, ranging from small households to large corporations. In everything we do, we strive for authenticity, fairness and integrity with the aim to shape a sustainable generation. Generation Water takes advantage of the limitless supply of water vapour in our atmosphere to produce crystal clear drinking water as an alternative water source that is less taxing on our environment. Generation Water lets you make all the drinking water you want, wherever you want. Our solutions range from a small 30 litres a day to 10,000+ litres per day, with no dependency on any water connection, straight out of the air. We provide solutions for Households, Hotels, Hospitals, Events, disaster stricken areas and anyone else who needs high quality water.